Available in waxed 3/0, a Medium diameter thread. Great for tying and spinning hair, streamers, big nymphs and saltwater patterns. 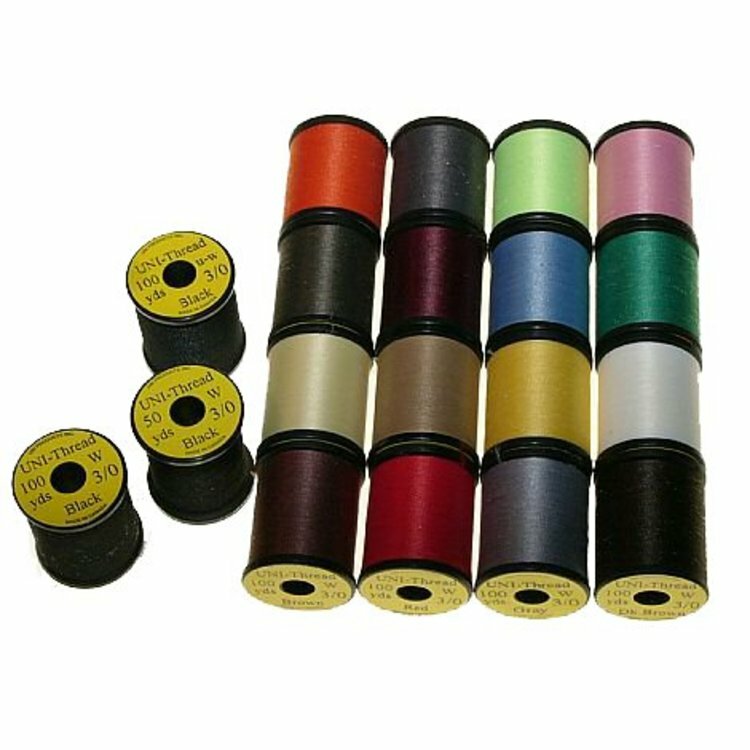 100 Yard spool. Please specify color. Available in waxed 6/0, an all purpose thread for most trout flies and some larger patterns where thread build up may be a problem. 200 yard spool. please specify color. Available in waxed 8/0 (midge), Perfect for flies 18 and smaller. Great strength for the diameter. 200 yard spool. Please specify color. 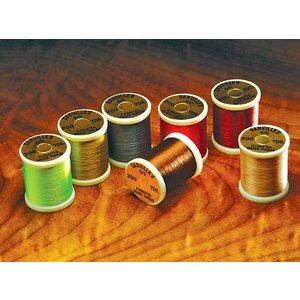 Available in BigFly, Heavy duty thread. Designed to stand up to big saltwater and freshwater streamers and nymph patterns. 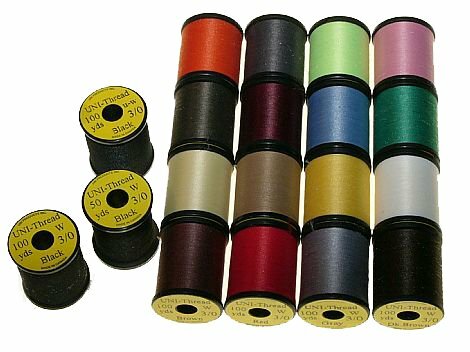 100 yard spool. Please specify color. 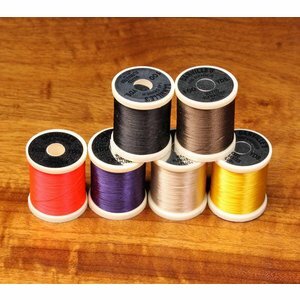 Available in 17/0 Trico thread, This extra-fine, white, polyester thread, is amazingly strong for its diameter. Perfect for caenis, trico, tiny baetis, and micro-caddis patterns.